The Marine Parade Central experienced flooding. 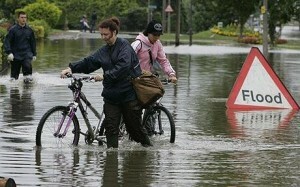 The flood was caused by clogging of utensils, food waste and many trays in the sewage pipes. Because of the recent flooding, Tan Chuan Jin (Acting Manpower Minister) and Goh Chok Tong (Emeritus Senior Minister) were briefed by NEA (National Environment Agency) and MPTC (Marine Parade Town Council). 1. Throw your garbage in designated places. The basic thing that you should do is throw your garbage in the right place. Do not just throw your garbage in nearby canals or sewage pipes because it can cause clogging. There are many trash cans around. Use it. 2. Plant trees. Flooding is prevalent because there are no trees. If you hear a tree planting activity, you can do your share by joining the activity. The roots of the trees can help prevent flooding and landslide. Invite your friends with you to make a difference. 3. Share your knowledge. There are people who do not think about their wastes and the environment. You can share your knowledge to them so they can help make a difference at the end of the day. It is important that many people know the effects of flooding and how to deal with it. We cannot foresee the future but we can be prepared for the worse. When there is a warning from the government , you should follow it and never ignore it. Why do you think my house needs painting services? The way you see your house might be different from the way a painting contractor sees it. 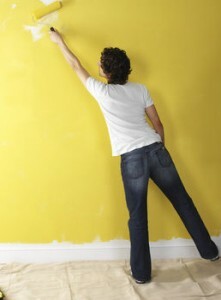 Perhaps the main reason you have in mind for repainting your house is that you simply want a new color for your walls. But a painting contractor sees beyond the surface. He may give you fair and sensible remarks, convincing you even more that your house truly needs a painting renovation. Is there a need to repair anything before painting begins? Painting contractors in Singapore are knowledgeable not only in selecting what type of paint is appropriate for your house, but also in checking if your house is totally ready for any painting services. Ask your colourview painting services Singapore contractor if there is a need to replace plywood, to caulk and fill cracks in concrete walls, or to do other necessary repair jobs. Everything should be all set when the painting begins. What kind of paint is perfect for this painting job? Paints come in different kinds. There are matte, semi-glossy and glossy, and each kind is suitable for a specific purpose, it is better that you seek professional advice in choosing what kind of paint is perfect for your house, rather than considering only your personal tastes and preferences. How long will the painting job take? Normally, house painting project takes several days to two weeks to finish. Definitely, the entire task cannot be accomplished in a single day by colourview painting services. Set a final length of time with your contractor regarding the number of days they will need to finish painting your house. This will allow you to plan ahead about your living accommodations while you wait for your house to get painted. Hire a professional painting contractor in Singapore so that you can be sure that the job will be done in the set schedule, or perhaps even sooner. Do you have any recent painting projects that I can take a look at? One way to better evaluate a contractor’s painting services is to look at his recent projects. Perhaps he had supervised the painting projects of some houses in your area. Ask if he can show you “before” and “after” photos of these houses so that you can clearly see the difference. It might even be better if you can visit the place yourself so that you can have a firsthand knowledge about the quality of the colourview painting services contractor’s work. You can also tell if a contractor can truly provide excellent painting services by contacting some of his previous clients. Do not forget to ask for some references each time you talk with a potential contractor. Devote some of your time in calling his previous clients to talk about their working relationship. After all, an excellent house painting contractor is worth your time and effort.